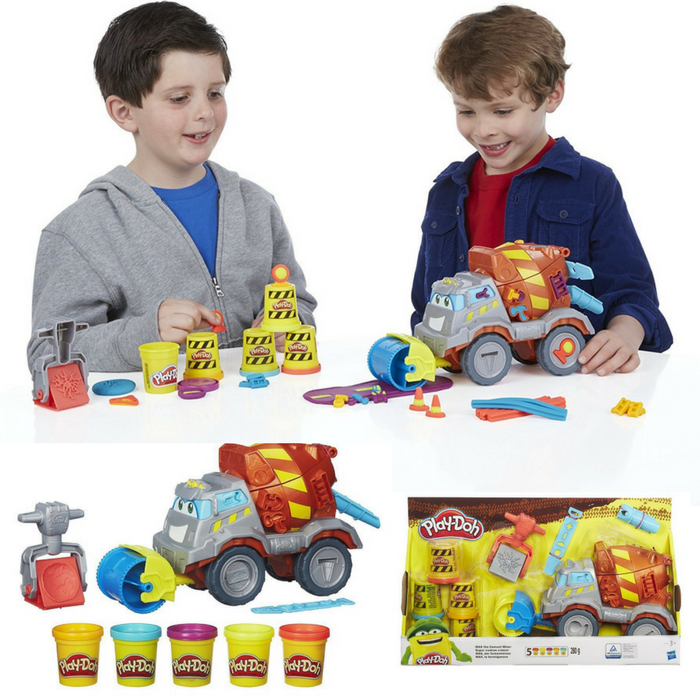 Play-Doh Max The Cement Mixer Just $27.22! Down From $52! PLUS FREE Shipping! You are here: Home / Great Deals / Amazon Deals / Play-Doh Max The Cement Mixer Just $27.22! Down From $52! PLUS FREE Shipping! Play-Doh Max The Cement Mixer is now on sale at Amazon for just $27.22 down from $51.99 PLUS FREE shipping! Inside every kid is an uninhibited explorer, a future leader, and an original creator. And inside every colorful, squishy ball of Play-Doh compound is an irresistible invitation for hands-on exploration. Coincidence? Definitely not. That’s because the Play-Doh brand gives kids the power to shape their own stories in their own way, without having to worry about breaking rules or being wrong. It gives them the freedom to turn what they know into something amazing and unexpected, and there’s always an adventure, masterpiece, or giggle fest waiting to happen. So take the lid off of your imagination and let the Play-Doh brand inspire you to create something awesome!